Yesterday was a busy day, and a typical example of how varied life can be when you are a writer. In the morning I went to the Hodder offices with my agent Sheila to see my editor, Charlotte, and members of the publicity team. 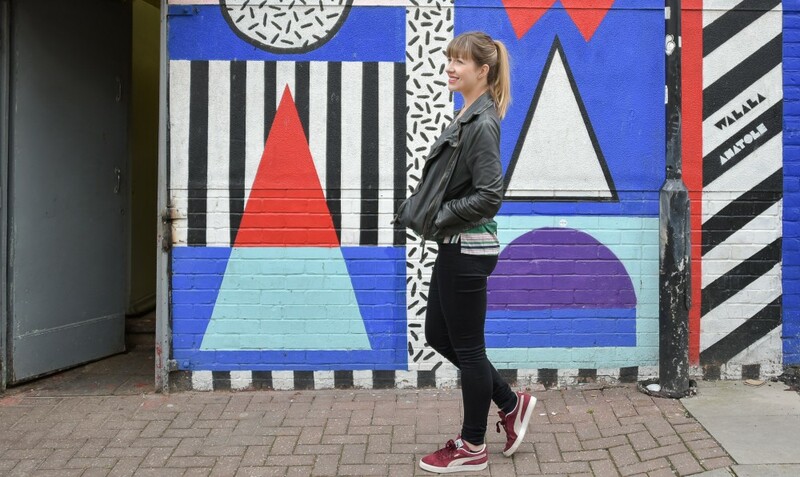 We discussed the build-up to the publication of Three Little Words, which was really exciting. My second novel comes out on January 31 next year, and although it feels a long way off, I’m sure it will come round very quickly. It certainly did last time! We have some great plans for the launch of the second book, which I will be able to share with you soon. I then spent some time with Charlotte on the plans for book three. I love the feeling you get when you are developing a new idea, it’s a really inspiring time. While at Hodder, I was lucky enough to meet a huge star of the publishing world…. (drum roll please) Hodder Dog! Maddy loves nothing more than sniffing out good books, and adores having her picture taken with writers and staff, and being made a fuss of. 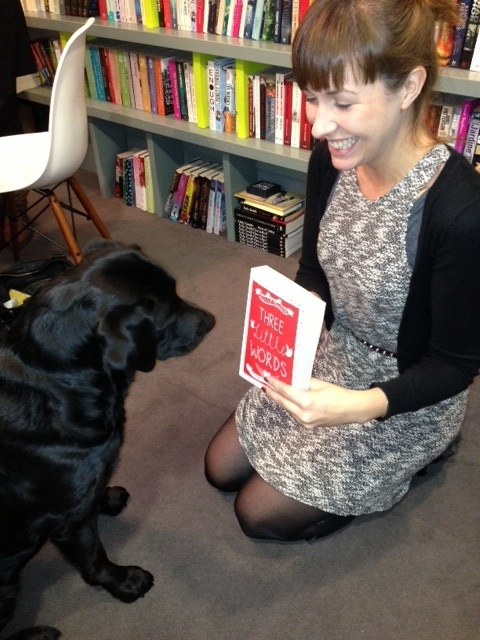 I was even more starstruck when Hodder Dog tweeted this photo of us together from her Twitter account (@HodderDog). Isn’t she cute?! Still dizzy from the excitment of my run-in with a major publishing celebrity, I then headed out to my former hometown, Tunbridge Wells, to speak to members of the Tunbridge Wells Writers Circle. You can find out more about them here. I had a lovely evening with a group of talented writers who all have lots of really original and creative projects on the go. It was the second time I have visited the group, having judged their recent Flash Fiction competition with fellow author Eleanor Prescott. It was great to share my story, but also to hear about what other writers experience too. I want to say a huge thank you to everyone who was there last night, and particularly to Karen Rollason who organised the evening and invited me to come and speak.